Over the years we have had the pleasure to help many clients relocate from various places such as China, Denver, Paris, England, Hong Kong, Cape Town, New York, Germany, United Kingdom and throughout North America. All have found the most suitable location/home possible that fits their needs and lifestyle in the Lower Mainland. We meet many clients through our network of referrals and many more through our website. When we work with you, we provide you with a tremendous amount of market research. We are thoroughly prepared and offer you not only our expert market knowledge but also patience and understanding to see you through the purchase or sale of your home. Our goal is to see you succeed in achieving your Real Estate objectives while ensuring the process has been an enjoyable experience. It is our sincere wish to provide you with the highest degree of professional service while realizing the most optimum results possible! 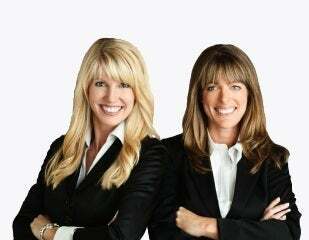 With over 60 years combined experience in Real Estate, Sue and Sarah offer their clients expert market knowledge, professionalism combined with enthusiasm and integrity which bring results! Their high standing in the Residential Real Estate Industry is evident with the many accolades and referrals they have received throughout the years. Since they became partners in 2004, they have been yearly Team Medallion Club Award recipients among the other RE/MAX Platinum Club Team award recipients, RE/MAX Hall of Fame award recipients, RE/MAX Chairman’s Club Team award recipients, and most recently, RE/MAX Diamond Award Team recipients. In addition, Sue recently accepted a Lifetime Achievement Award from the Real Estate Board of Greater Vancouver for her outstanding service in the Real Estate industry, achieving 20 years in the Medallion Club. Given their accomplishments, what’s most notable is the business and reputation they’ve established in the industry. Built on integrity, expertise, and results, more than 90% of their business comes from referrals and returning clients. As your Realtors you can be assured that no one will work harder for you. Our goal is to achieve your respect and your loyalty. We want to be the Realtors you use over and over again and the ones you feel confident in referring to your friends, family and business associates.